Northwest Colorado Outfitters Welcomes You! The Northwest Chapter of the Colorado Outfitters Association is your number one source for finding outfitting, guiding and recreational services in Northwest Colorado. The dedicated professionals of the Northwest Colorado Outfitters Association have the skills and expertise to provide the ultimate outdoor experience for you and your family. Whether you're interested in summer pack trips, sightseeing, photography, watching wildlife or just relaxing in the clean mountain air, our outfitter and guide members can provide you with the trip of a lifetime. Your safety and enjoyment are our number one concern. With millions of acres of pristine mountains and wilderness areas as our "backyards," you and your family can truly get away from it all. 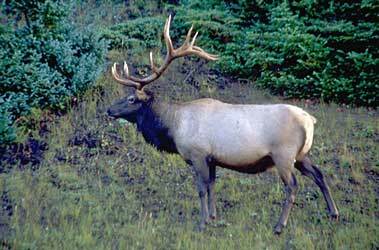 Home to the world's largest elk herd, Northwest Colorado has some of the finest elk and big game hunting anywhere. Northwest Colorado is also famous for its mule deer and pronghorn antelope hunting. Mountain lion and black bear are also numerous along with plentiful small game. Our mountains and valleys are filled with rivers, lakes and streams offering some of the finest fishing in Colorado. Outfitter members live and provide services in such wonderful mountain communities as Craig, Meeker, Yampa, Steamboat Springs, Hayden, Clark, Hamilton and Maybell. Check any Division of Wildlife statistics and you will find these communities ranking among the highest for successful hunting. No matter what type of outdoor adventure you are looking for, the Northwest Colorado Outfitters Association membership is your source for adventure in the spectacular Colorado Rocky Mountains. Let us assist you in planning your next hunting trip or vacation. Call or email any of our Colorado Outfitter Association Northwest Chapter members.